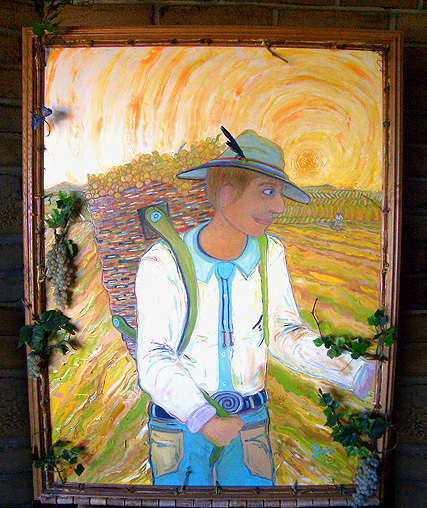 Vineyard Earth, Glass Beads and authentic Chardonnay Vines frame. of the painting. Final dimensions with frame 40 x 52.